The Cross Keys has through overwhelming public support recently been purchased by the local community and after a brief period of refurbishment it will be re-opened for business. We are looking for a management couple who really understands how important it is to be a part of the community, who are willing to maintain and grow our loyal local trade and treat the business as their own. The successful applicants must understand the importance of quality and service standards while providing a welcoming and friendly atmosphere and ensuring that people have a great experience every time they visit. We are looking for a talented, outgoing, confident Manager who is passionate about delivering the community of Redgrave the kind of pub that it deserves. Both Manager and Chef will have the opportunity to develop and evolve the pub services that are offered to the community. The Cross Keys is a charming 17th century building overlooking the central village green (the knoll), it comprises a separate bar and 50 cover restaurant including a well equipped kitchen. The atmosphere benefits from 3 open fires as well as a front terrace seating area a rear garden and car park. 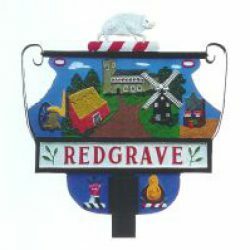 Redgrave is a small yet thriving village consisting of 230 dwellings, mostly historic. It has a proven track record of community spirit with the community shop in its 10th year. Redgrave is situated on the Suffolk/Norfolk border surrounded by picturesque countryside, the closest town being the market town of Diss some 5 miles in the Norwich direction. Running the Cross Keys places you right at the heart of the local community and integrating with the locals will be key to driving sales. Part of the Manager role will be to encourage in-house community based events such as charity nights, pub games, quizzes, pub teams and other activities that will appeal to all members of the family and community. As a management team you will take full control of the day to day running of the pub, bar and kitchen. The restaurant and well appointed kitchen will serve simple but high quality locally sourced food. Together you will be responsible for creating and evolving a lunch time and evening menu that maximises the availability of seasonal local produce focussing on value and quality. To be successful in this role it will be preferable to have experience of running a successful pub business, with a proven track record in implementing profit-driving sales ideas as well as maximising community involvement. You will be passionate about the industry and up for the challenge of being the driving force behind a community based pub, developing the business through experience and knowledge. You will be responsible for the day to day running of the pub, bar and housekeeping operations. You will be required to contribute to the business strategy and ensure costs are maintained to budget. You will report to the Redgrave Community Benefit Society Management Committee through a designated director. You will be responsible for the daily operation of the kitchen and the preparation and cooking of all dishes. Ability to work unsupervised and have strong organisational skills. To maintain strict hygiene levels throughout the kitchen. Experience in a similar position is preferred although someone who is willing to train and work hard with restaurant, pub and bar experience would be considered. Personal licence is preferable but not essential. Comfortable living accommodation including three bedrooms is provided above the pub. A competitive salary and performance related bonuses. 20 days paid holiday + bank holidays (to be taken in lieu). Applications will also be considered for the individual roles of pub manager or Chef, with or without the accommodation to suit. Our aim is to recreate a charming traditional village pub with a cosy interior and welcoming atmosphere with something to offer to all members of the community.